For the second week in a row, the horror world has been hit with a tremendous loss. This last weekend, writer/director Larry Cohen passed away at the age of 77. Cohen was a B-movie auteur and a master of independent, guerilla-style filmmaking. 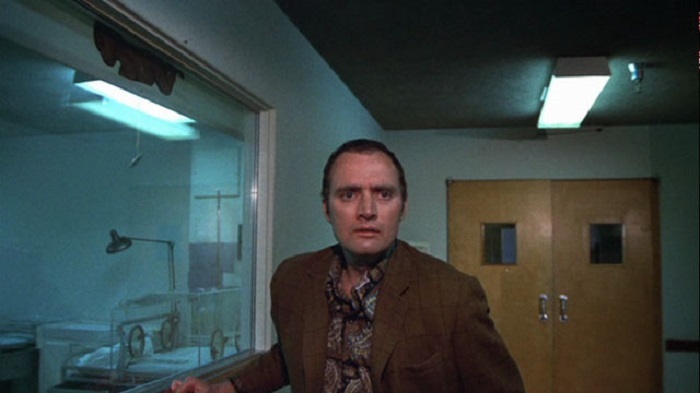 And nothing shows off his free-spirited approach to his craft like his 1974 horror debut It’s Alive. It’s Alive is about a married couple named Frank and Lenore Davies (Three O’Clock High’s John P. Ryan and Night of the Comet’s Sharon Farrell) who are expecting their second child. When the contractions start, the Davies head to the hospital for the birth. Something goes horribly wrong, though; the newborn slaughters everyone in the delivery except for its mother, and escapes. The doctors speculate and the police assign blame, but the bottom line is that there is a murderous mutant infant on the loose, and the Davies family is stuck between loving and loathing their newborn child. By the time he made It’s Alive, Larry Cohen had already had a successful career writing for television shows like “Branded,” “The Invaders,” and “The Defenders.” As a director, he had also made a handful of blaxploitation flicks with titles like Black Caesar and Hell Up in Harlem. It’s Alive was a turning point in the filmmaker’s career, the pivotal moment when he seemed to find his schlock film niche in the cinematic world. It’s a niche that he would embrace fully for the rest of his career, throwing himself into movies like The Stuff, Q, and God Told Me To. 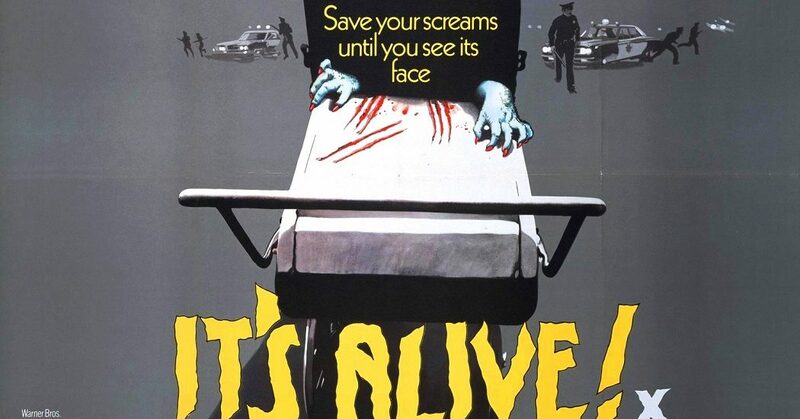 For a monster movie, It’s Alive is a surprisingly layered film. The initial setup is a splatter fest, but the story quickly turns into a police procedural as the authorities try to track down the threat. It essentially becomes a movie about cops hunting a serial killer, only the serial killer is a mutant monster infant. 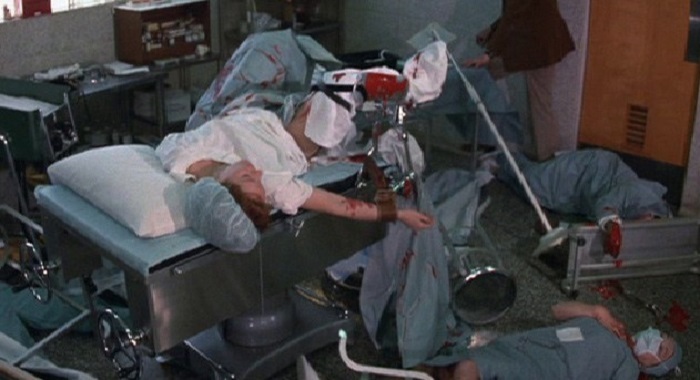 Like many crime dramas, It’s Alive has slow and padded expositional period that explodes into a final climax. There’s also a human ethical dilemma that surfaces as the Davies try to wrap their heads around the fact that their child is more beast than baby. Finally, just to balance things out a bit, It’s Alive tosses a dash of social commentary about pharmaceuticals and abortion into the gooey murder mystery. 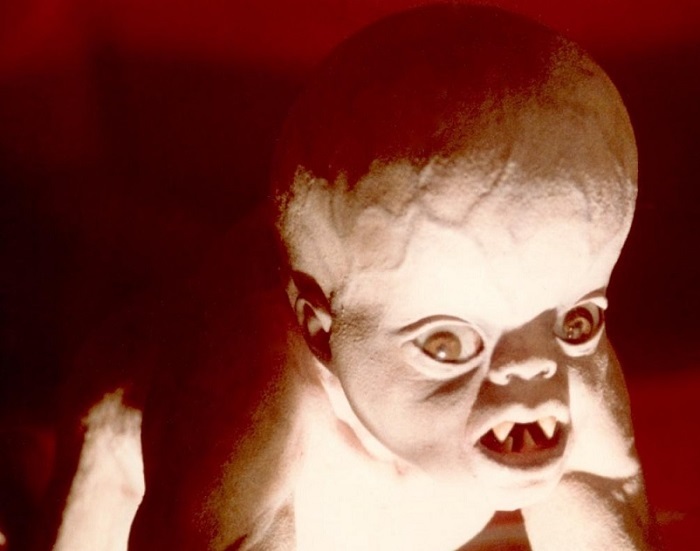 Of course, any schlocky B-movie is only as good as its special effects, and Larry Cohen turned to a then-unknown Rick Baker (The Incredible Melting Man, Octaman) for his monster baby design. With Cohen’s guidance, Baker made the creature look essentially like a baby, only with an exaggerated cranium and an upper body like a weight lifter. The legendary design is rounded out by a mouthful of pointy fangs and a pair of razor-sharp claws. Not only is the baby a lethal killer, but the mutant child is also responsible for the most disturbing birth scene this side of Xtro and The Brood. Larry Cohen was famous for his run-and-gun, guerilla-style filmmaking, choosing to live by the “ask for forgiveness instead of permission” credo and skipping the step in the production process where permits for filming in public places were secured. The director of photography on his early movies, Fenton Hamilton, was the perfect man for the job, as he was more of an inventor than a cinematographer, and was even awarded a pair of technical achievement Oscars for developing mobile batteries and portable arc lamps. This allowed Cohen to shoot on streets and in riverbeds in and around Los Angeles, basically getting his shots quickly and easily before any authorities could stop him. Much of It’s Alive was shot this way, so the external scenes have an air of realism to them, like the audience is watching news footage or home movies. Of course, there are some fun camera tricks, too. For example, the monster’s POV is shown through a blurry, delayed double exposure technique that simulates the dizziness or disorientation that a newborn would feel, whether they were a homicidal beast or not. But even these takes were probably done fast and light, allowing Cohen and company to move on to the next shot without burning through too much film or daylight. Composer Bernard Herrmann is best remembered for his work with Alfred Hitchcock on the Master’s mid-career movies like Vertigo, North by Northwest, and Psycho, but he was known to dip his toe into the world of shock and schlock every so often with scores for movies like Taxi Driver, Sisters, and Cape Fear. It’s Alive is probably the weirdest movie that Herrmann ever scored, and his music helps sell the film. The soundtrack is very cinematic and flourish-y, not really sounding like a horror score until it hits the third act and starts to lean more heavily on synthesizers instead of an orchestra. But Herrmann’s sonic profile is unmistakable, and It’s Alive is a better movie for having his music in it. Upon its initial release in 1974, It’s Alive flopped hard. It was only after another three years (and a regime change at the studio) that it found its audience, partially because of a terrifying television ad that features a baby carriage slowly spinning around as a lullaby plays in the background. A voiceover calmly states that “most new parents are a little scared when they have a baby…the Davies are terrified…you see, there’s only one thing wrong with the Davies baby…It’s ALIVE!” as a twisted claw reaches out of the bassinet. Along with the creepy dummy spot for Magic, it’s one of the most horrifying TV commercials in history. 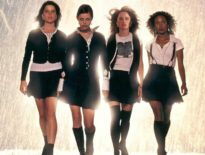 And it worked, because It’s Alive was a modest hit in its second run, even inspiring a pair of sequels and, in 2009, a remake. While Larry Cohen continued directing, he would wind up having more success as a writer, penning the screenplays for movies like Maniac Cop, Uncle Sam, Phone Booth, Cellular, and Captivity. He also made “Pick Me Up,” which was one of the most memorable episodes of the Showtime “Masters of Horror” series. Larry Cohen was a true independent spirit who still found a way to exist within the mainstream, and his passionate creativity will be sorely missed.